The first 59 trainees for the new NHS nursing associate role have now begun their studies at Middlesex University. The nursing associate role will bridge the gap between healthcare support workers and graduate registered nurses. It also offers opportunities for healthcare assistants to progress into nursing roles. Middlesex, in partnership with North Central London Pilot Group led by Whittington Health NHS Trust, is one of only 11 pilot sites to be awarded a contract to train nursing associates for employers across London as part of a new Health Education England (HEE) initiative. Marion Taylor, Director of Programmes for Nursing at Middlesex, welcomes the new trainees. “This is an exciting development from Health Education England to develop a new role to support the registered nursing workforce,” she says. “We are pleased to be one of only 11 pilot sites in England for the Nursing Associate Programme, and welcome the 59 new students to Middlesex. The first wave of training will provide 1,000 nursing associates from 11 training sites to hospitals across England. There will then be a second wave to train a further 1,000 nursing associates following high demand from healthcare workers and providers. 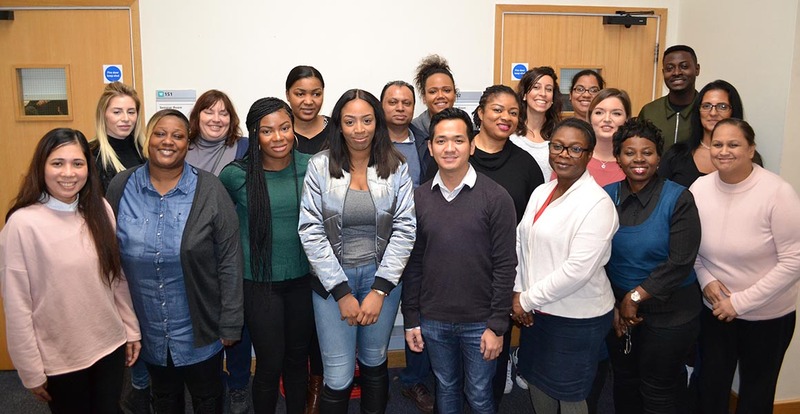 Middlesex will work with North Central London Pilot Group to train nursing associates for employers in London and the south east including the Royal Free NHS Foundation Trust, Camden and Islington NHS Foundation Trust and Barnet, Enfield and Haringey Mental Health Trust (BEH).